Owned by a marine industry professional and his wife, who had a high end kitchen and interior cabinet business for many years, “Barefoot” presents as a boat with upgrades that reflect an attention to detail that is above average for this year model boat. Having spent its one ower life in the fresh waters of Lake Lanier, GA, “Barefoot” has only been in saltwater since the current owners brought her to Florida in Jan, 2011. Contact us for an appointment to take a close look at this exceptional Catalina 310. “Barefoot” has had every attention to detail added since her current owners started upgrading her upon her arrival in Florida in Jan, 2011 from freshwater. Brand new cream interior cushions from Catalina dramatically upgrade the interior space making it feel larger and more uniform. Custom cockpit cushions from Catalina were also added. 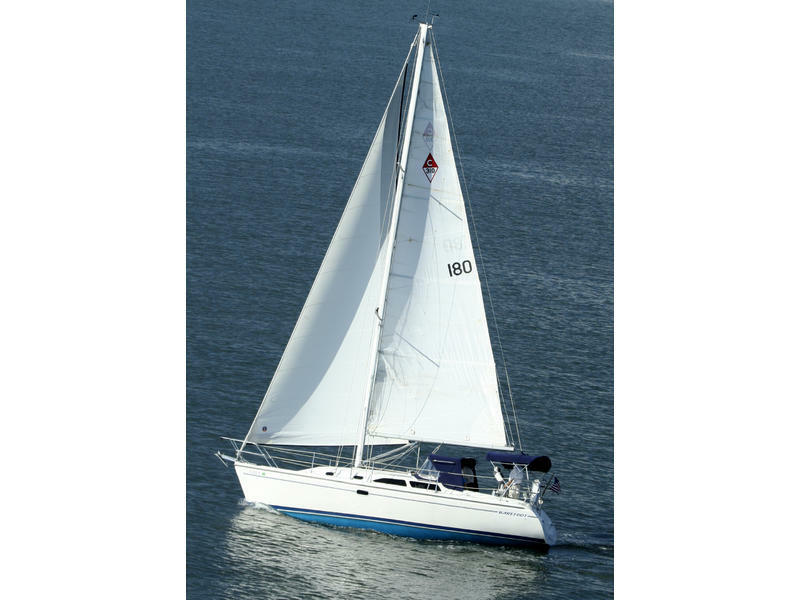 In short, this beautiful sailboat feels and presents with a much newer feel than most 310’s regardless of age.